I would like to write, over a few weeks, some memories from my past, so that they are remembered ad not forgotten. 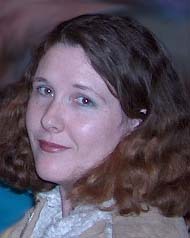 It will also reveal a little bit about who I was. It is good to remember and I only hope that these memories can be passed down. Which set of memories I start with I do not yet know, but since I have limited time today I may just start with a short one. During primary school (ages 6-12) I was always good at running. I do not have too many ribbons as I was not 'excellent' but good. I remember making it to the finals often and even enjoying the running even though it was hard work. I was good over short distances, that being 100 metres, 200 metres and relay. 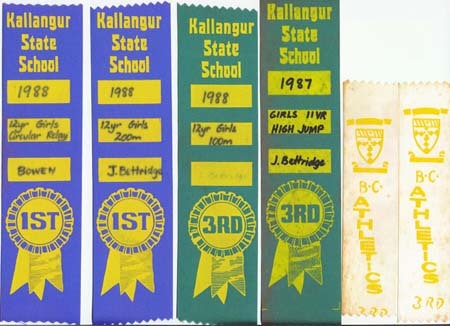 I competed twice at the interschool races though only came home with one ribbon, I think. I cannot find that ribbon anymore so I do not know if it happened or not. When I had been picked for the school team, we were allowed out of class early (before lunch times) to practice. There was myself and two other boys from my class who would train during these times. Training would consist of warming stretches and trying to beat our times. Training could have been better put to use with trying to improve our running techniques and enhancing our starts. I was not so good at starts nor really taught how to be mentally prepared for running as I only did it for a short part of the year at school. I was not really concerned about this though as I was still young and just enjoying it, not really taking it seriously. Running lost interest with me until I started martial arts (that is another story for another time) and tried my luck at loosing an interschool voluntary participation cross country run. I did this with a small group of sporty friends and we made it so that we ran together and came last. I can't remember what the other two ribbons are for as I said earlier I cannot find my interschool ribbon. Maybe the two white ribbons were for highschool but I do not remember running then, maybe they were for primary school but I do not think they were for that. They definitely weren't for swimming as I was never good enough swimmer to get put into any serious races. Oh well, the mystery remains with memories lost because they weren't recorded early enough.